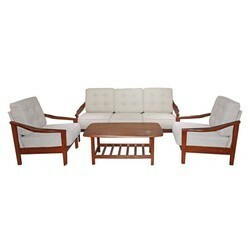 We are a leading Manufacturer of l shaped sofa set, wooden sofa set and u shaped sofa set from Bhopal, India. Having a pre-determined quality administration system, we are thoroughly involved in delivering L Shaped Sofa Set. Since we have established our base in this highly competitive industry, we are readily engrossed in the arena of presenting Wooden Sofa Set. 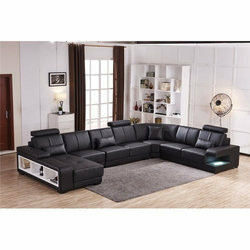 Justifying our reputation in this highly competitive industry, we have brought a wide assortment of U Shaped Sofa Set.